Our NEW borders are perfect for both your landscaping and playground needs. Neatly contain your rubber mulch with these convenient borders. Pick and chose to create your own customized yard with easy and efficiency! 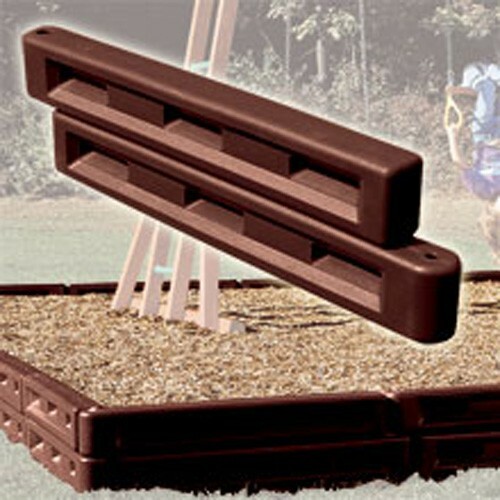 Interlocking Molded Plastic Borders keep your play area surface tidy and contained. The rounded corners and wood grain texture offer safe, attractive and kid friendly alternative to wood timbers. We include the Spikes to go with the borders so your all set to go.